How Is Your Social Media Activity Affecting Your SEO? When you maintain an effective social media presence, you can successfully engage with your patients, and strengthen your relationship with them. 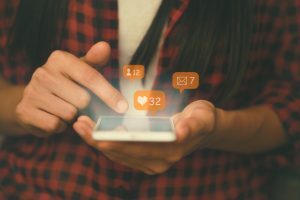 What you might not realize is how effective your social media activity can be towards reaching potential patients, and making the website for your practice more visible. While the two may seem like separate entities, a social media profile can support your website, and make it a more effective tool for digital marketing. Through the right content, and the right posting schedule, we can help you enjoy greater success on the varying platforms you use to promote your practice online. Rather than seeing your online presence as an obligation, or choosing between social media and a formal website, look at these different platforms as different opportunities to reach people. By sharing website content through your social media, you can make helpful information more accessible to patients. You can also encourage more sharing of that content, which can lead to more site visits. While your activity on your website can be directed towards introducing people to you and your practice, social media can be useful for maintaining communication between you and your current patients. Positive interactions online can lead to more people sharing favorable reviews of your practice. These reviews can make people feel more excited to see you. They also produce positive interactions that make it clear to Google that your site should be ranked highly for online activity. Take Advantage Of Our Monthly Social Media Kits! When it comes to managing your online marketing efforts, we can help you create a new website for your practice, improve on your old or inefficient website design, and create content that can improve your SEO. While our website support can have long-term value, you may be interested in more than just website activity. Fortunately, we are also ready to help you manage your social media activity. We can provide you with a special social media kit each month. These kits include fun graphics, quality captions, and a posting schedule that will allow you to be regular with updates (without posting too frequently). At MDPM Consulting, we understand that more than one approach to online marketing can be required if you want to grow your SEO. In addition to providing dedicated support for your website, we can offer help with your social media activity as well! When these efforts are used in tandem, they can help you reach new people online, and keep up with your patients. If you are interested in finding out more, please contact us via the information provided below. Are you ready to improve your website and social media presence? Contact us today and let us help you! Email MDPM Consulting at [email protected], or call us at 972-781-8861.